005 - Kom Kom five inch knife with special blade and hardwood handle. 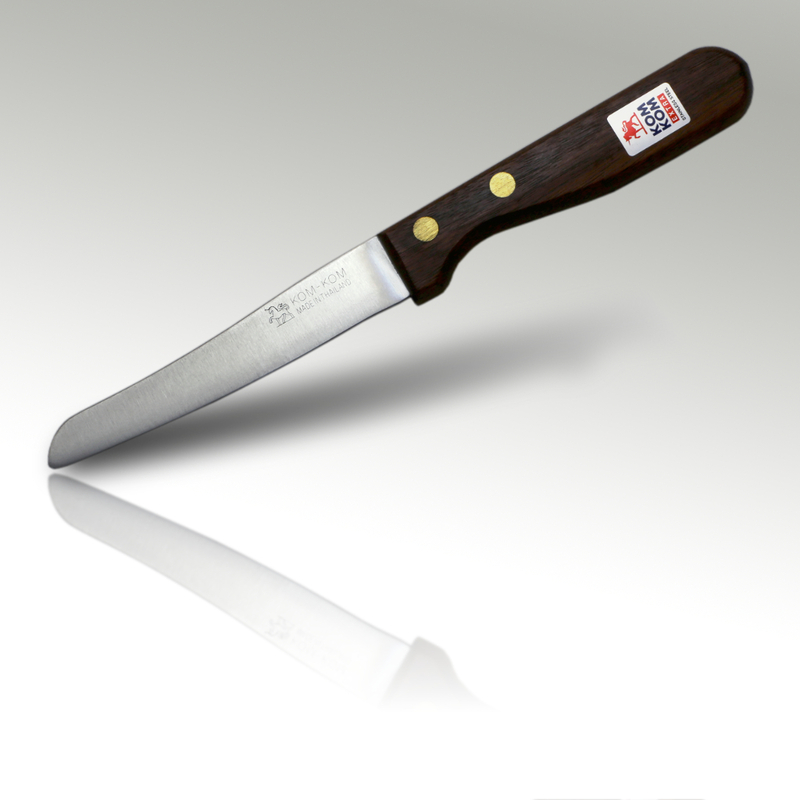 This five inch knife has a high quality, high carbon stainless steel blade with a hardwood handle. 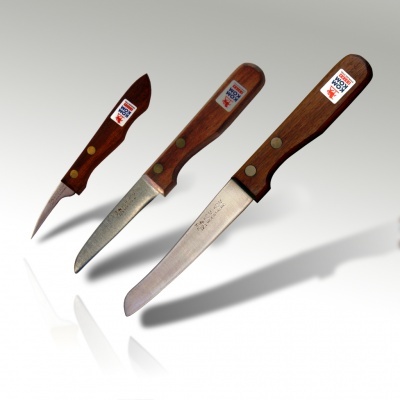 (B) - Kom Kom 3 Piece Set of fruit carving knives with a quality hardwood handle. A - Kom Kom 3 Piece Set of fruit carving knives with a quality hardwood handle.